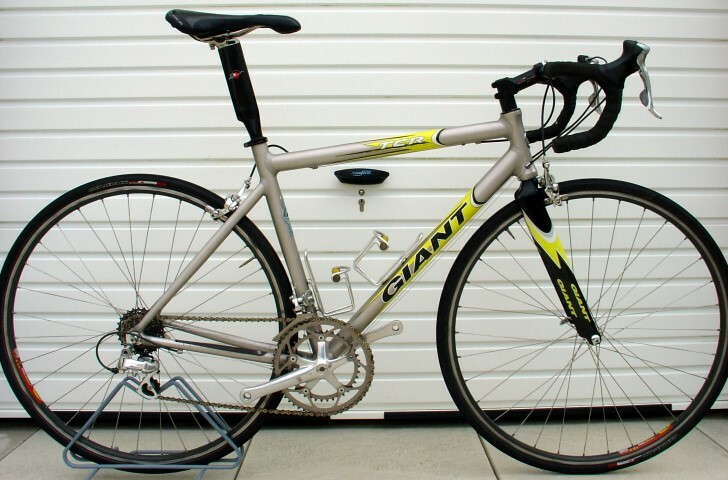 The classic bike enthusiast knows that these high quality frame tubes give a feel to a bike that is unique and this can manifest even from similarly specced frame to another. This property of steel remains alive but dormant in these classic frames. They need coaxing back to life with a repaint and rebuild. 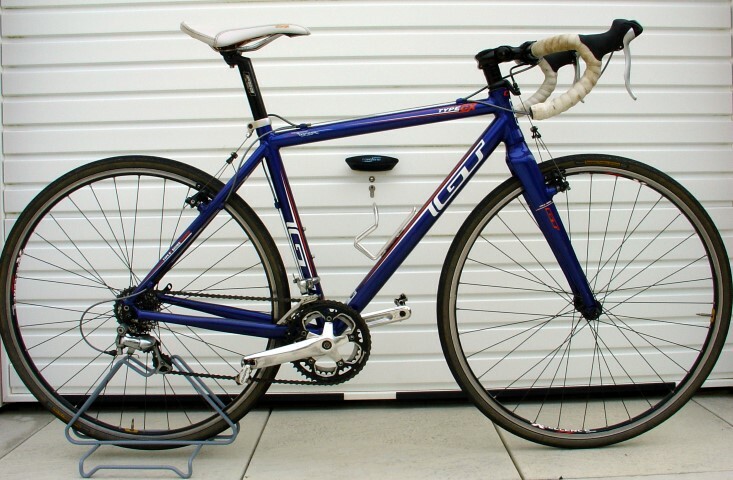 Period parts will provide enjoyment and authenticity, but with Johns knowledge and skill it is possible to fit most of today's new components to a classic steel frame. John can advise on appropriate paint colour and design. 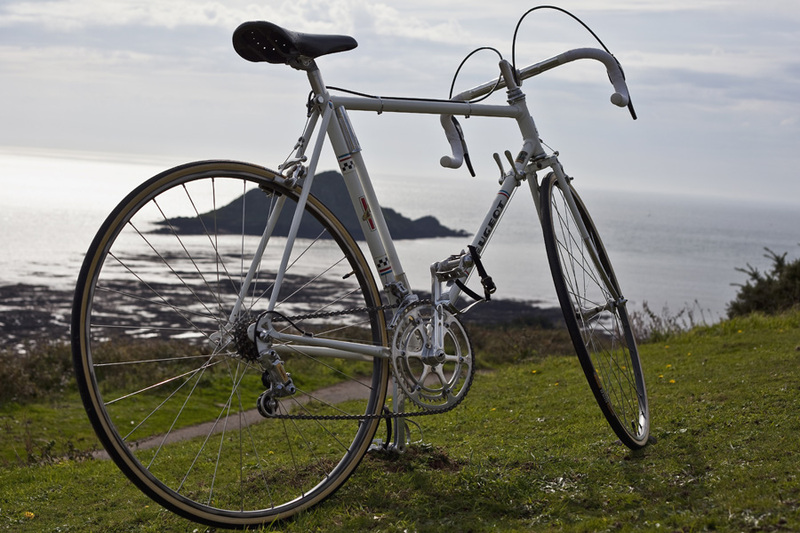 The classic steel frame, however equipped is the basis of a bike whose heart and soul can be experienced both visually and dynamically. 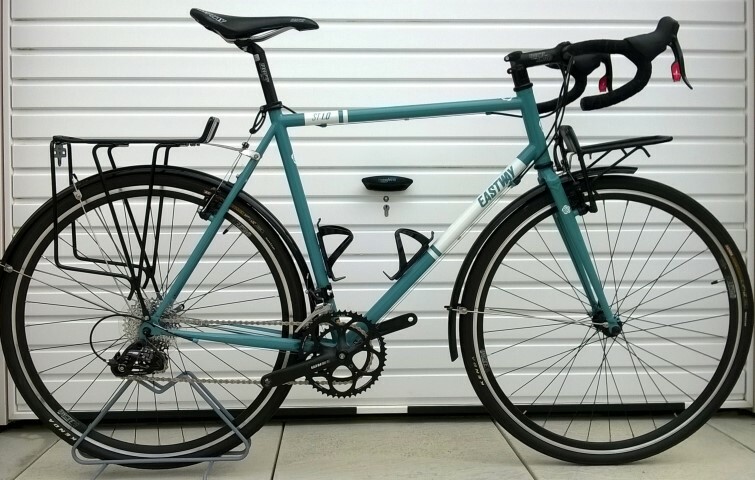 John Benney's Alltrax has the knowledge, skill and empathy to produce a classic bike from any starting point, to any desired degree of authenticity. 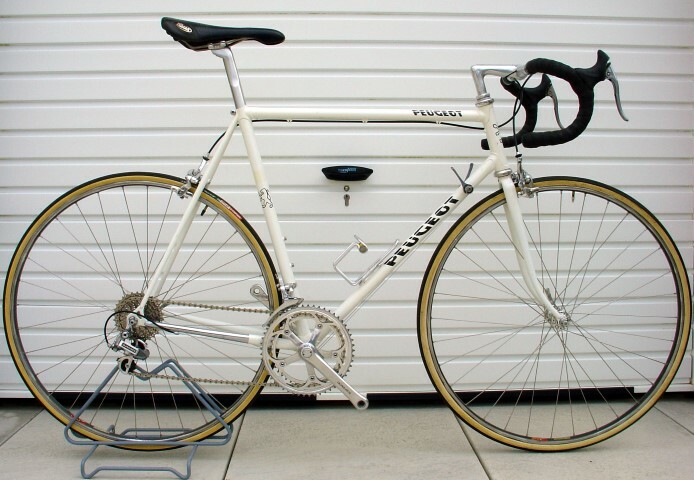 This immaculate Peugeot road bike is available to buy now. 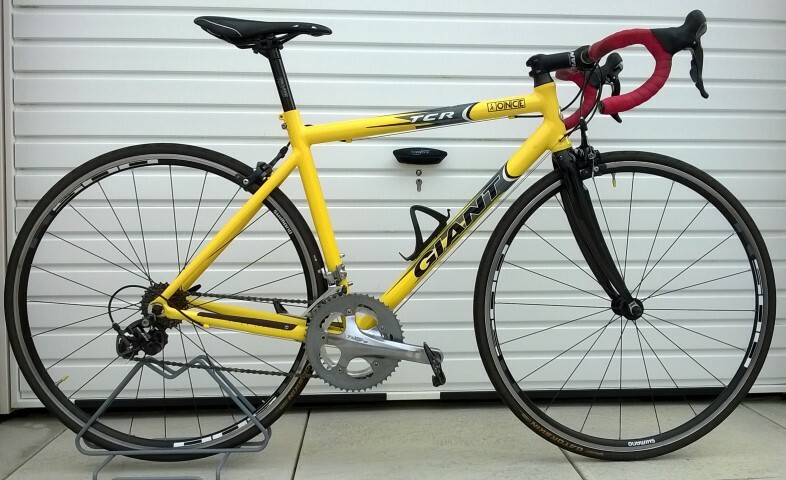 It has been lovingly restored by John Benney with all the original running gear. 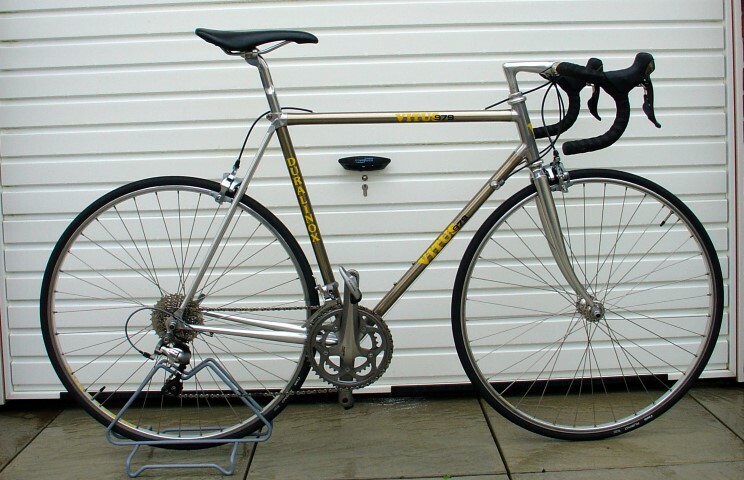 A similar spec bike to the one ridden by Tom Simpson in the 1965 Tour. 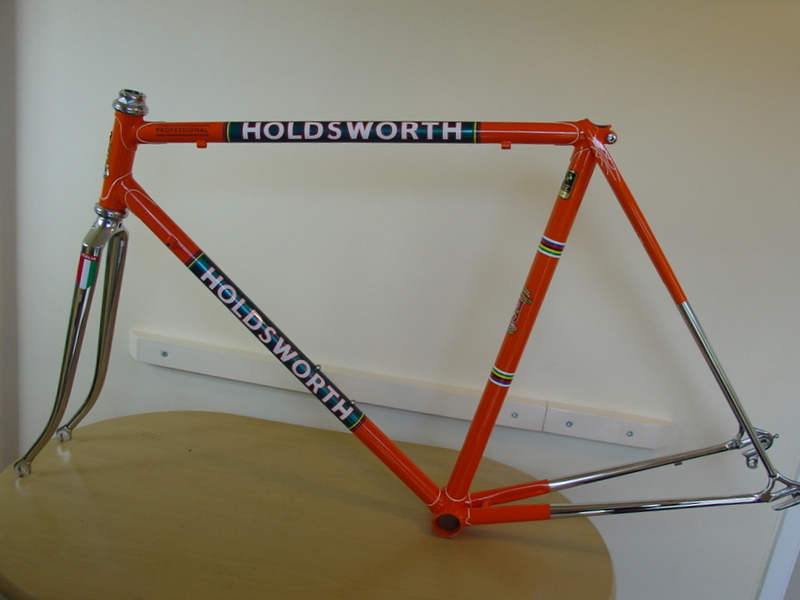 This particular frame is 1977 vintage. 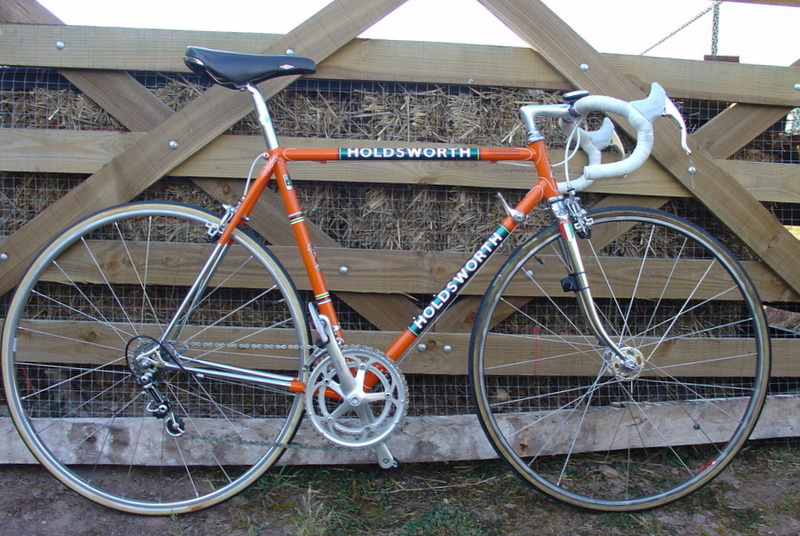 This Holdsworth Professional Team bike has been completely restored and re-sprayed to it's original orange team colours. 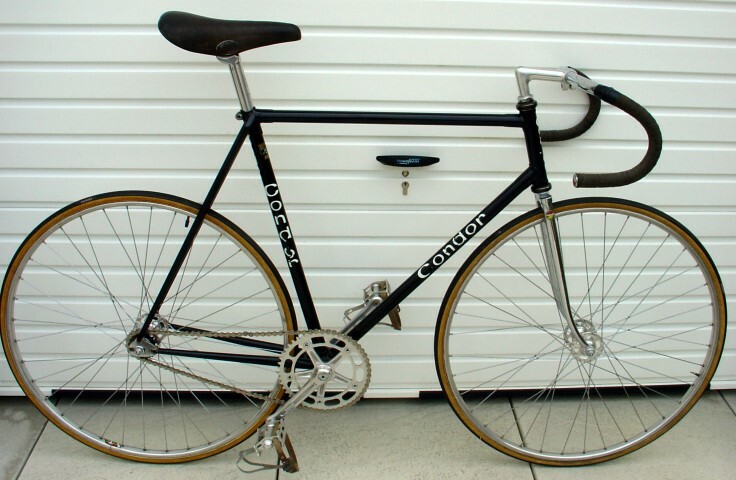 Campagnolo Record L/F hubs , 24 spoke, tubs, 21.5 inch frame. 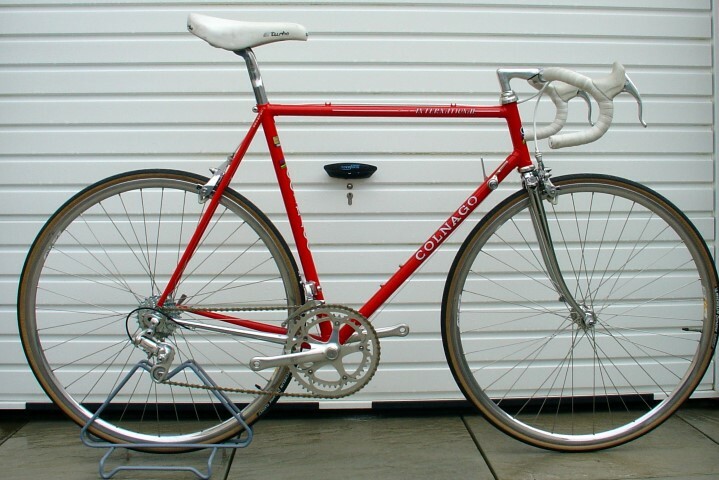 Italia forks, Campagnolo Record brakes, Campagnolo Chainset etc.